Today we ventured out of the North side of Edinburgh and made the trip across town to the South Side…. which really isn’t that big a journey, its just we never go there! One of the reasons we went was to visit Earthy Foods on Ratcliffe Terrace, we have read reviews and articles about it and thought we should give it a visit. And aren’t we glad we made that journey!! 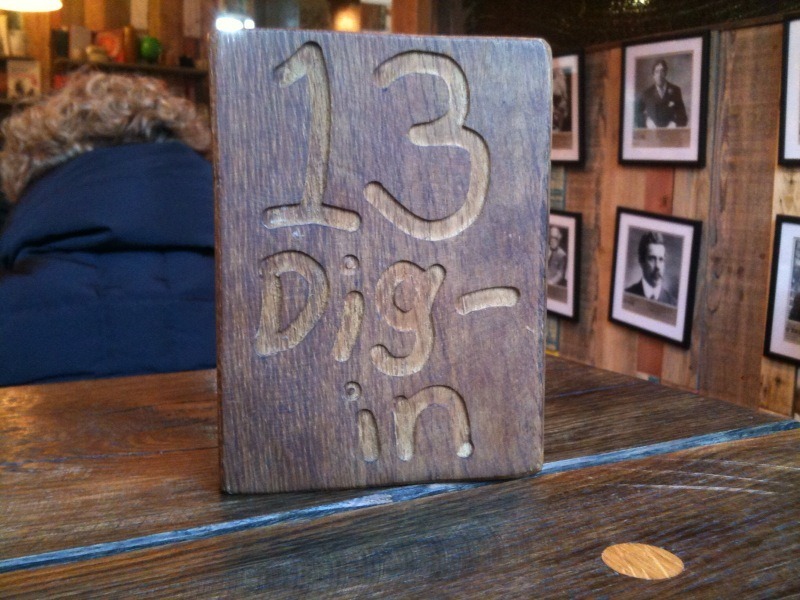 Even though we had unlucky number 13 as our table number, we certainly weren’t unlucky with the food! We had only went in for coffee, but the tempting fresh and yummy looking food which greeted us changed our minds quickly! 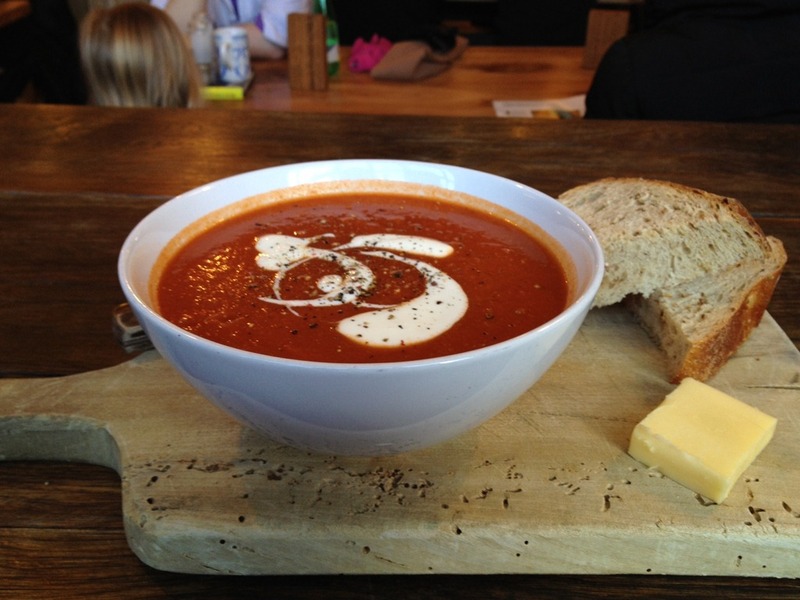 I went for todays soup which was a Red lentil and Tomato soup, served with granary bread and butter. It was delicious and there was loads of it!! 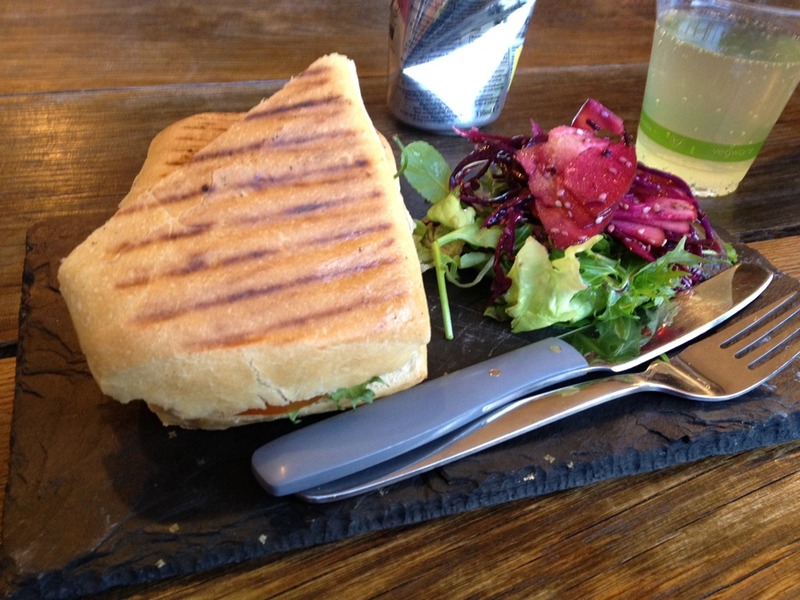 Stuart went for a ham, cheese and onion marmalade panini, which came with a beetroot, apple and rocket salad. Naturally I had to steal a bite, and can confirm it too was delicious. After eating all of this we went into the market shop section upstairs, where all the fresh produce is sold. 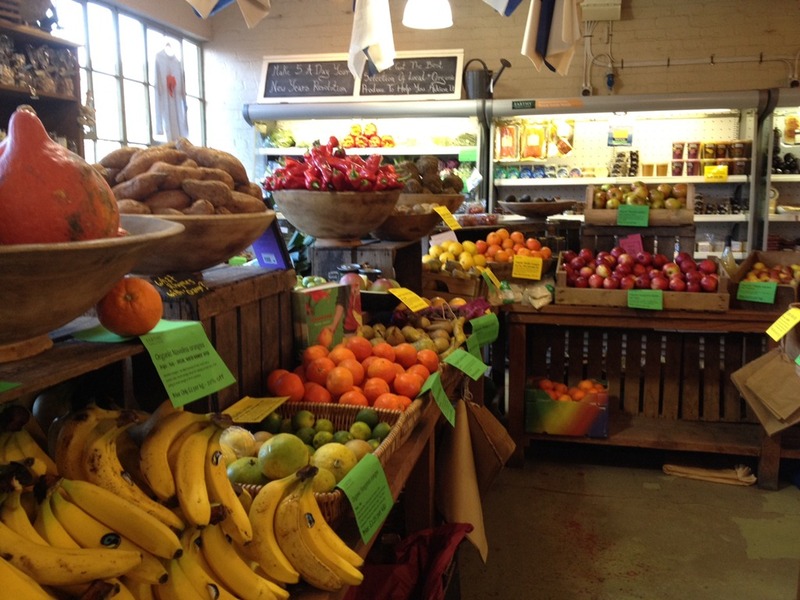 There was piles of fresh fruit and veg, which looked so inviting, and the bonus is – its mainly all local! 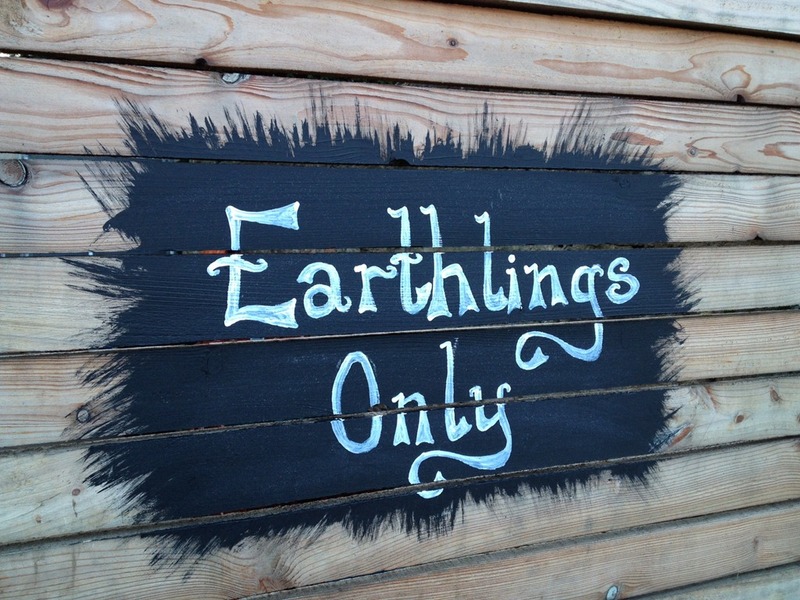 We will definitely be paying Earthly Foods a visit again, though hopefully soon we wont have to travel across town as there are plans to open a branch in Canonmills, so only a short stroll away!